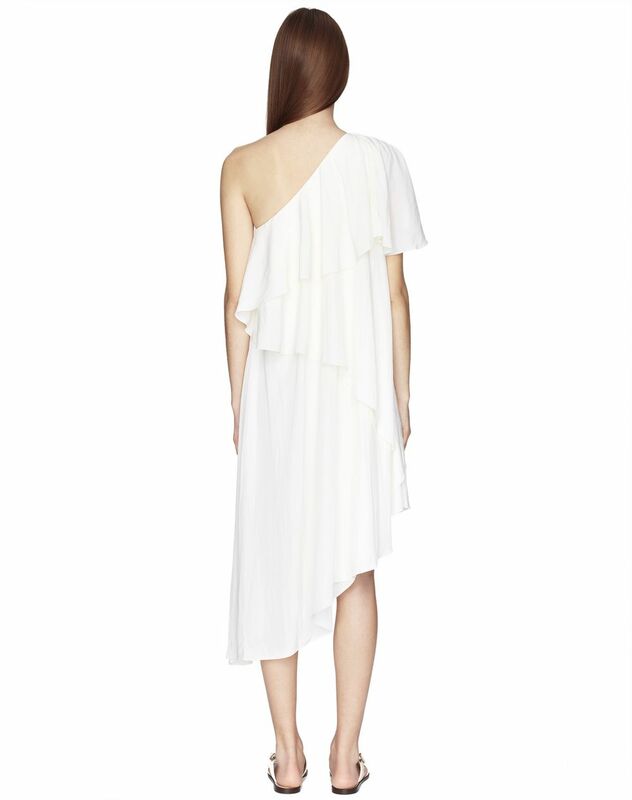 Mid-length ivory satin dress, caftan sleeves and asymmetrical cut-outs, ruffle details and asymmetrical length, draping at the hips, pleated effect, and invisible fastening on the left side. 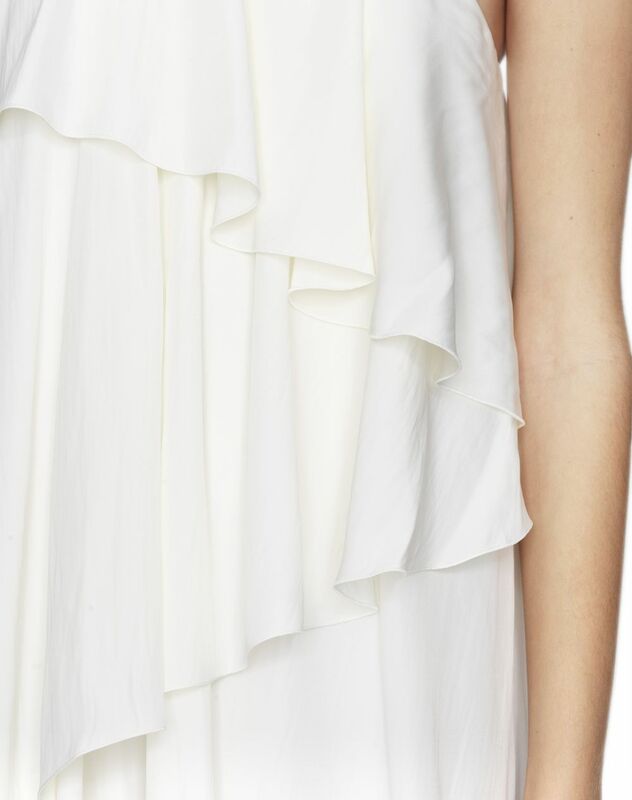 This mid-length dress stands out for its ivory colour, asymmetrical ruffles and gossamer material. This light, floaty dress falls beautifully and gives the silhouette movement. Ideal for a cocktail party or a summer's evening, this satin dress stands out as one of the season's on-trend pieces. Main material: 100% polyester weave. Model's measurements: Height: 178 cm Chest: 84 cm Waist: 59 cm Hips: 88 cm Model wears a size 4. Made in Spain.